The Central American River Turtle, Dermatemys mawii, is listed as ‘CRITICALLY ENDANGERED’ on the IUCN Red List of Threatened SpeciesTM. 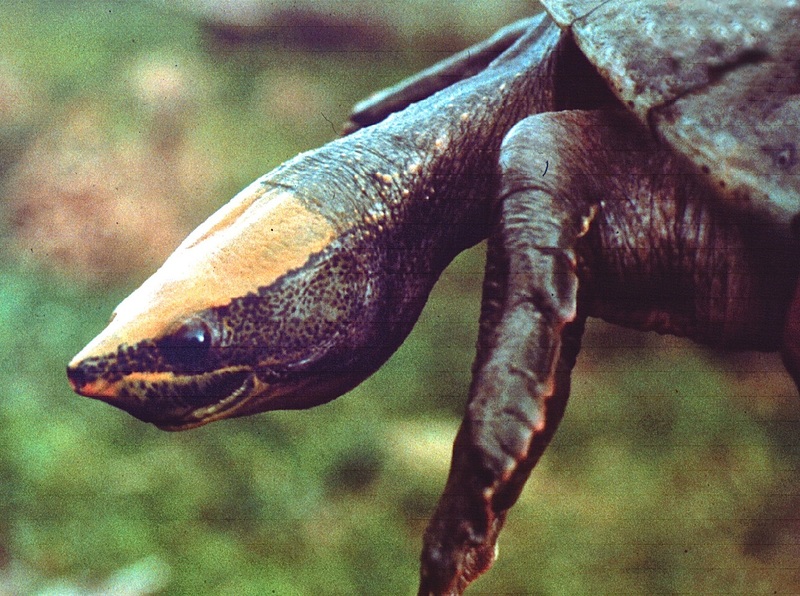 The last remaining representative of a turtle family dating back 65 million years, this unique species reaches a shell length of up to 60 cm. 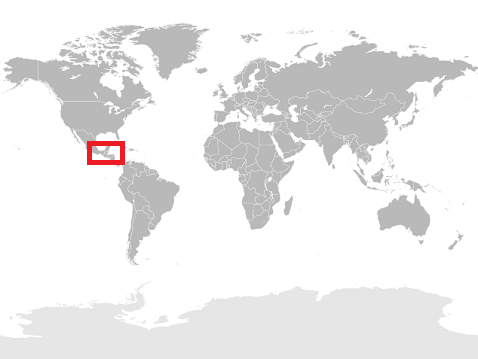 It is entirely aquatic, inhabiting rivers, lagoons, and other large wetlands in southern Mexico, Guatemala, and Belize. It is barely able to move on land, and rather than emerging onto land to nest, females instead construct nests at the waterline during floods, and the eggs only begin developing after the water level has dropped. This species is highly esteemed for local consumption, and intensive collection, particularly ahead of festivals, has depleted populations severely across most or all of its range. It is protected or regulated in all range countries and under CITES, but local enforcement is largely lacking. Increased public awareness, population recovery efforts, and improved enforcement to prevent overexploitation are all urgently needed. To learn more about the Central American River Turtle, click here. Or visit the IUCN Red List of Threatened Species™ by clicking their logo below. To learn more about the Bush Warriors “Species of the Day” feature, please click here and read up on our initiative to raise awareness about the loss of earth’s biodiversity. This entry was posted on July 7, 2011 at 10:20 pm and is filed under IUCN Species of the Day with tags animal blog, animal blogs, Animal Rights, Animal Trafficking, Animals, animals blog, Anti Poaching, Belize, Biodiversity., Central America, Central American River Turtle, CITES, Community, Conservation, critically endangered, critically endangered turtle, Culture, Current Events, Dermatemys mawii, Education, Endangered Species, Environment, Extinction, festivals, flooding, freshwater turtles, Guatemala, habitat loss, human consumption, illegal, Illegal Animal Trade, illegal hunting, Illegal Wildlife Trade, IUCN Red List of Threatened Species, killing, lagoons, Mexico, Nature, nesting females, News, overexploitation, poaching, rivers, stop poaching, turtle poaching, turtles, wetlands, wildlife, wildlife blog, wildlife blogs, wildlife conservation, wildlife conservation blog. You can follow any responses to this entry through the RSS 2.0 feed. You can leave a response, or trackback from your own site. It is clear that if the local enforcement is lacking, then the authorities are not fully committed. I could only suggest that if the locals are so reliant on this turtle as a food source then they need to farm and breed, release a percentage into the wild to recover numbers lost up to now. From my side I wish they would not consume at all. It could be a win-win sitaution for both.. A breeding programme would have to ensure that numbers are in safe levels first before consumption! !